We saw Brave, the latest Disney/Pixar movie yesterday. In general, we are predisposed to like Disney/Pixar movies, and Brave was no exception. To begin with, the animation was visually stunning. From the panoramas of the Scottish highlands to each individual strand of Merida’s (the heroine’s) hair, everything was beautifully rendered and surprisingly realistic. It was easily the best animation we’ve ever seen. The story was also excellent. Our 13 year old found the story predictable, and the plot did follow a traditional story arc. But Jim and I thought the storyline of the evolution of a mother-daughter relationship extremely touching. Perhaps it’s because we have a teenage daughter, and we can see the beginning of the appearance of adolescent angst. I also found it interesting that the critics who were mildly critical of the movie (which seems to be as negative as the reviews got) were all men. The universal theme of the continually evolving relationship between parents and children appeals to all, but the story definitely centers on the mother-daughter relationship. We were also amused by the strong resemblance between Merida’s “wee devils” of brothers and our 10 year old (much to his displeasure). We went to see The Merry Wives of Windsor at the Shakespeare Theatre last night. It’s a curious play, as Shakespeare resurrected Sir John Falstaff from his Henry IV plays that take place in the 1400s and time-traveled him to the Elizabethan era in the 1600s. The Shakespeare Theatre production has the play set right after World War I, although the temporal setting has very little to do with the plot. The play has a larger number of characters than a Shakespeare play typically has, which makes it difficult to keep them all straight and fully develop their personalities. The play has also been characterized as being the least romantic of his comedies. We didn’t find the play to be one of William’s stronger efforts, and the production suffered a bit from this. The main plot where Falstaff is trying to seduce the two wives in order to later blackmail them as an income source was well done. The subplot of a daughter and her three suitors (her preferred one being one that neither parent favored, of course) was underdeveloped, although I couldn’t tell whether that was due to the play itself or the production. All in all, the actors were excellent (especially Falstaff and the two wives). The play was engaging and light-hearted and amusing. The production was well done, and it was definitely worth an evening’s entertainment. We had a fabulous trip to Beijing and Hong Kong! In Beijing, we finally got a chance to see the renovated National Museum. Jim and I had last seen it in 1987, and the museum now has more than 5,000 square feet of exhibit space. The Chinese government had hoped to have it open in time for the 2008 Olympics, but differences on how to cover the various political events delayed the opening until about two years ago. The museum has two wings–the Hall of Rejuvenation and the Chinese antiquities wing. The Hall of Rejuvenation covers the history of China starting with the Neolithic age. The more recent the events, the more amusing the commentary. (Did you know that Sun Yat-sen’s revolution overthrowing the Manchu Dynasty in 1911 was incomplete because it was not a workers’ revolution? Neither did I.) The Chinese antiquities wing has some stunning pieces. In fact, the exhibits are so extensive that we did not have time to see them all. (A return visit is on the list.) 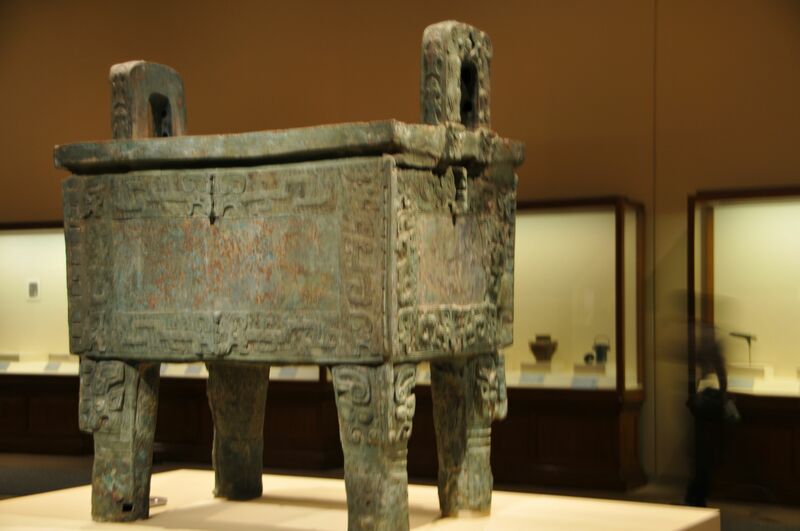 One of the more stunning pieces is this large bronze vessel from the Shang Dynasty (16th – 11th century BC). 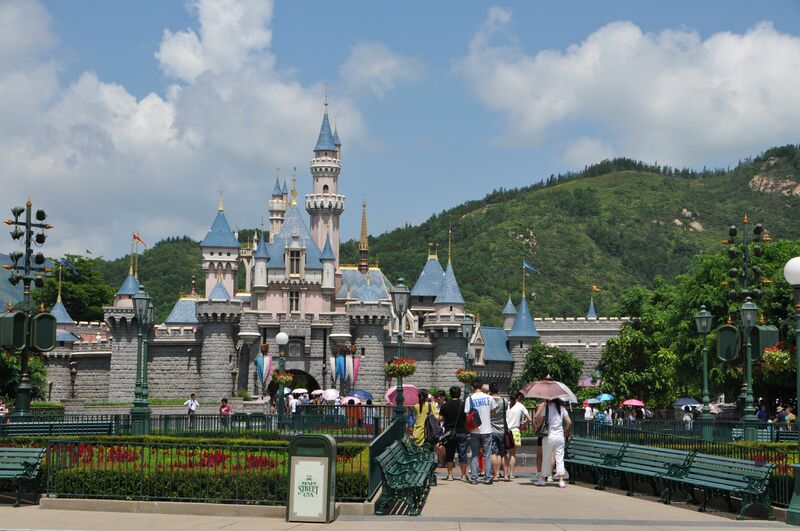 For more about what to see in Beijing, you can go to the Travel section of my webpage. We then flew to Hong Kong. After several hours there, our kids independently announced that while they couldn’t live in Beijing, they could live in Hong Kong without a problem. And it’s quite easy to understand why. Hong Kong is a unique blend of British and Chinese culture. It has the order and cleanliness of Britain with an overlay of Chinese culture, language, and commerce. It is an amazing city! 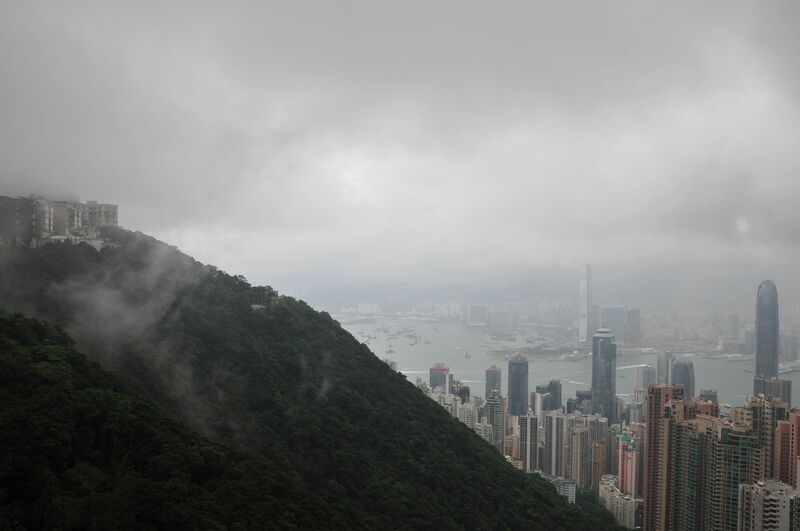 I’ll have my Hong Kong travel tome up in the next couple of days with more details of where to go and what to see. 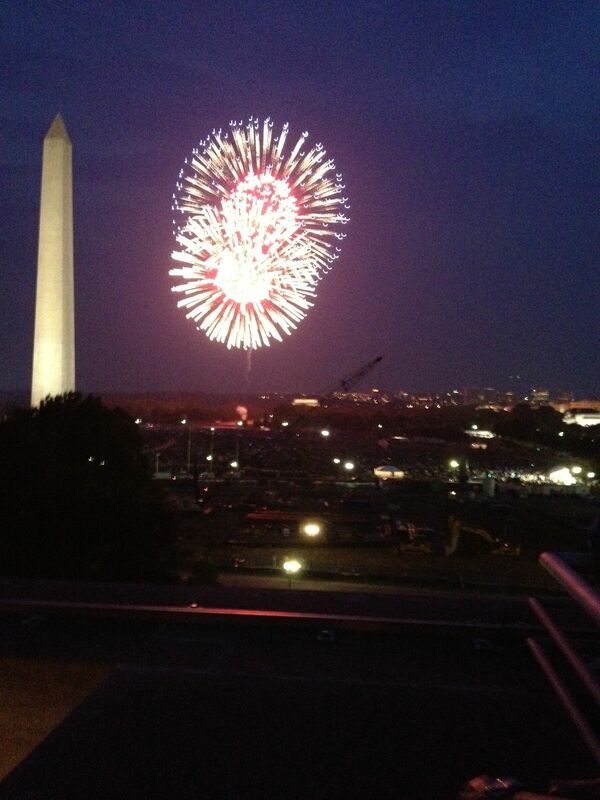 We were fortunate enough to be invited to watch the fireworks on the Mall (in Washington, DC) from the rooftop of the Museum of American History. Here are a couple of photos from the evening. It was definitely an unusual 4th of July for us, as we had just gotten our power back and weren’t feeling particularly celebratory or festive. 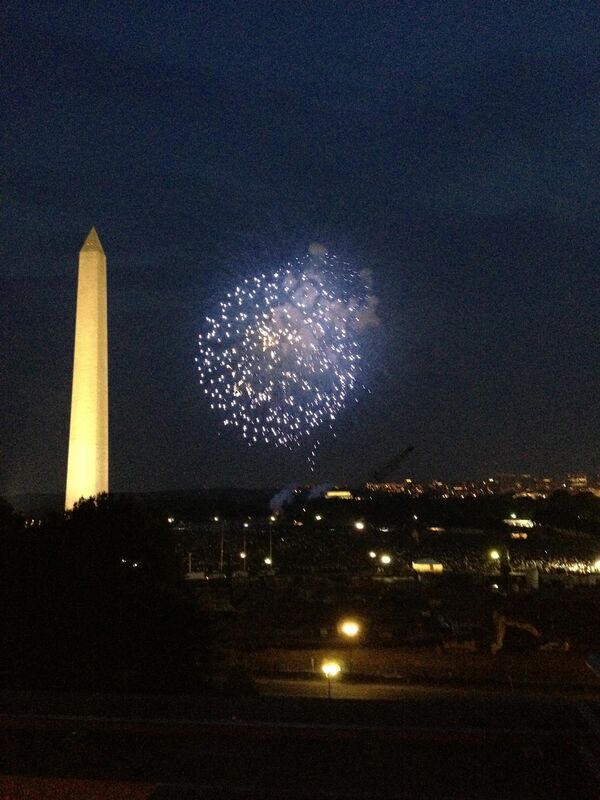 Fireworks on the Mall was just the thing to get us in the right mood. And, having just returned from a trip to Beijing and Hong Kong, we are feeling particularly blessed to be living in a country where individual liberties are valued and respected. The United States really is a great country! We arrived back from Hong Kong on Saturday, June 30–14 hours later than planned due to a 10 hour delay taking off from Hong Kong, a diversion to Minneapolis due to bad weather in Chicago and insufficient fuel to hover after the trans-Pacific flight, and a system alarm light coming on as we were getting ready to depart Minneapolis. We landed at Chicago O’Hare at 2:00 am, which gave us just enough time to go to the Airport Hilton, shower, and wolf down a meal (I’d call it dinner, but I’m not sure what time our body clocks were on). We caught the 6:05 am flight to Dulles and were greeted with the aftermath of the derecho (a thunderstorm with hurricane force winds). We arrived home, zigzagging our way on roads blocked by downed trees, to be greeted with no power (because we’re on well water, no power means no water), no cell phone service, blocked roads, and an inoperable generator. Jim had made a reservation at the Hyatt Reston, which conveniently neglected to inform him that the hotel, too, had no power. When we arrived and discovered this fact, Jim politely requested the Hyatt to find him another hotel room in the area, preferably one with power. We stayed Saturday evening at the Hyatt Fair Lakes, recharged our phones (our backup phones, which are on Sprint’s network, were working reliably, although our primary phones on AT&T were twitchy), and tried to recover from jet lag. By Sunday, the generator was running and powered enough of the A/C to cool the basement, the well pump, and the refrigerator and freezer plus some lights. Fortunately, both of our offices had power, and the kids’ camp had power, so, on Monday, we toddled off to camp and work and slept in the basement (which we’ve been doing for 6+ months now, so that wasn’t a significant change, but they had moved all of our beds upstairs, so we slept on air mattresses). Power did not return until Tuesday night for us, but the area is gradually returning to normal, and we are better off than a lot of other people who are still without power, as the temperatures are 90+ degrees for 6th consecutive day. The trip to Beijing and Hong Kong was fabulous, but more about that later! And, most importantly, the kids were golden throughout the entire chaotic time, from plane flight through power outage. We are so very proud and thankful!